The countdown has begun. In less than one month a group of us here at Cinema Blend, including myself, will once again make the geek pilgrimage down to southern California for the annual San Diego Comic Con festivities. Every year the biggest names in genre film, television, comics and all other walks of media show off everything they've got to the nerdy crowds packed into the city's convention center. And this year should be a pretty awesome event, with great movies like X-Men: Days of Future Past, The Amazing Spider-Man 2, Captain America: The Winter Soldier, and Guardians of the Galaxy all due out in 2014. But Comic Con isn't only about looking into the next calendar year. 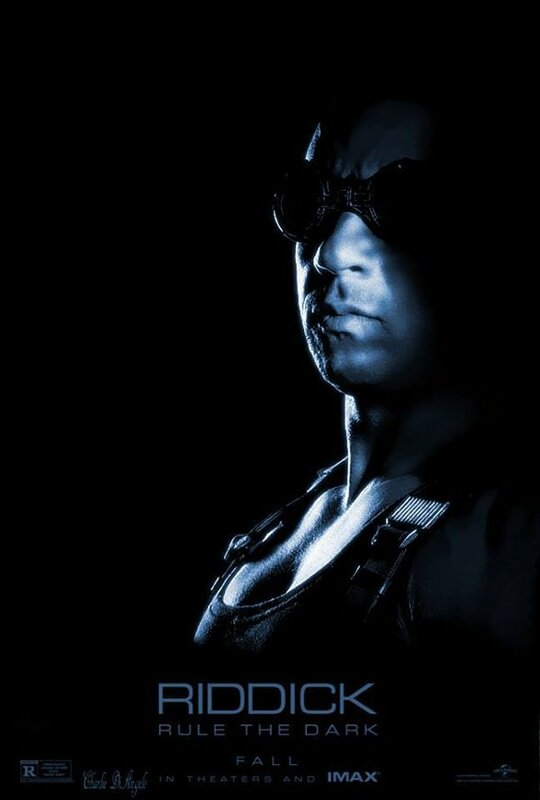 There are still plenty of movies still to be released in 2013 that will get fans buzzing in Hall H - and one of those titles will be Riddick, starring Vin Diesel. Master of social media that he is, the star has posted a new message on his official Facebook page to announce both that his return as the alien anti hero will be previewed at this year's Comic Con and to debut a brand new poster for the movie. The film is set to be released by Universal Pictures in the fall, so it makes sense that they would want to try and create some mid-summer buzz. There are no extra details about what the studio has planned for the film's presentation. You can see the brand new poster as well as Diesel's full message below. I tell you this my people, because without your voice, it would have never come to pass. P.s. San Diego Comic-Con International 2013, July 19... see you there. Written and directed by David Twohy, who also made 2000's Pitch Black and 2004's The Chronicles of Riddick, the new film finds the titular hero (Diesel) trapped on an incredibly dangerous planet and left for dead. When he sends out an emergency beacon, his cry for help is heard by two different ships: one a group from his past, and the other a band of deadly mercenaries. Katee Sackhoff (Battlestar Galactica), Karl Urban (Star Trek Into Darkness), Jordi Mollà (Blow) and Dave Bautista (The Man With The Iron Fists) co-star. Given the strong geek cred of the entire cast and the solid face base of the franchise, don't be surprised if you hear about a few if not all of those cast members purchasing tickets to San Diego next month.